Are you a sweet tooth that loves all things cheesecake, cookies, chocolate, and even creme brûlée? 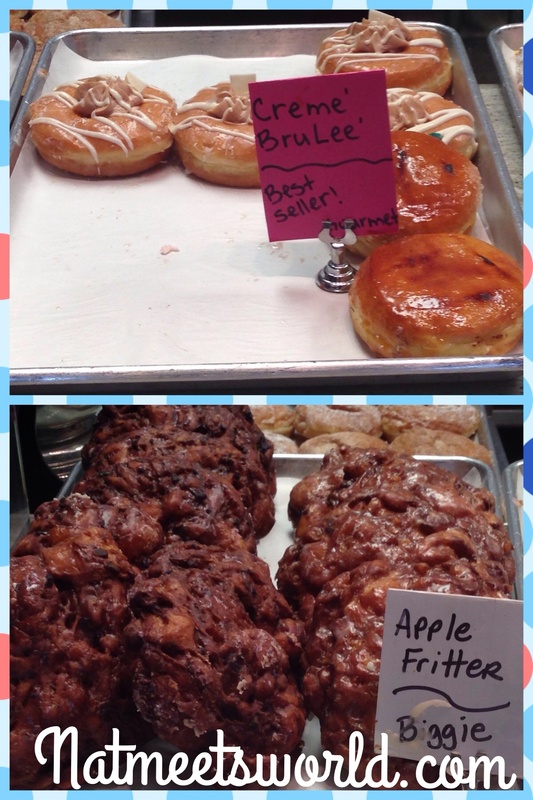 Well, now you can get all of those things in a plump, gooey, out-of-this-world donut! I walked into my co-workers office the other day (Hi Jilly-Jill!) 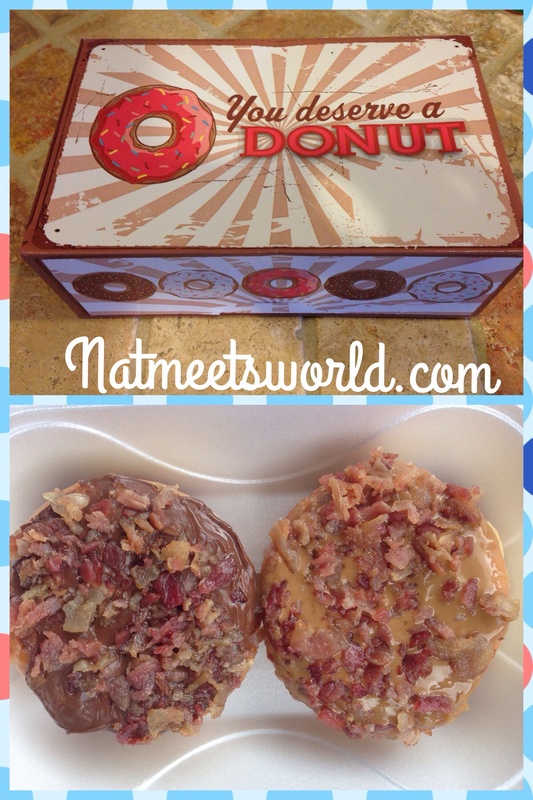 and my eyes landed on a donut topped with bacon (yes, you read that right, bacon)! I immediately asked where it was from and decided to check it out for myself. I knew a bacon donut was unique, but I still wasn’t expecting anything as wonderful as what I experienced. After all, how amazing could a donut be? Well, I can honestly say, I was proven wrong as soon as I laid my eyes on the display. When I first walked into the shop, I noticed that Paula Abdul’s music video, Opposites Attract, was playing. Being an 80s/90s kid, I loved the feel of the music in this little shop. There are a few tables and chairs to relax at. 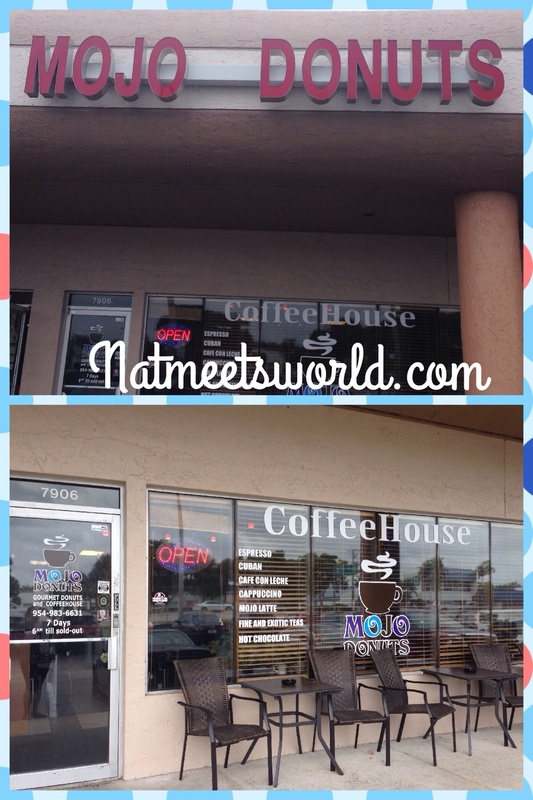 I felt like it was a great place to enjoy a cup of coffee and a sweet treat while chatting with friends. It is lively and upbeat, so I wouldn’t consider studying here or doing work. This little shop appears more like a place for people to hang out and catch up. 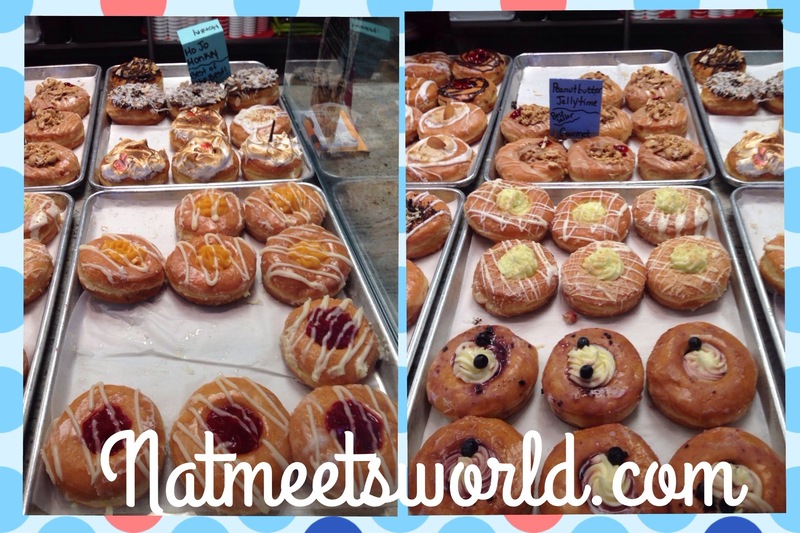 While the prices for individual, half dozen ,and a dozen donuts seem very expensive compared to traditional donut shops, you will not get these gourmet quality donuts anywhere else. The taste texture of these treats are very unique and heavy compared to a usual donut. 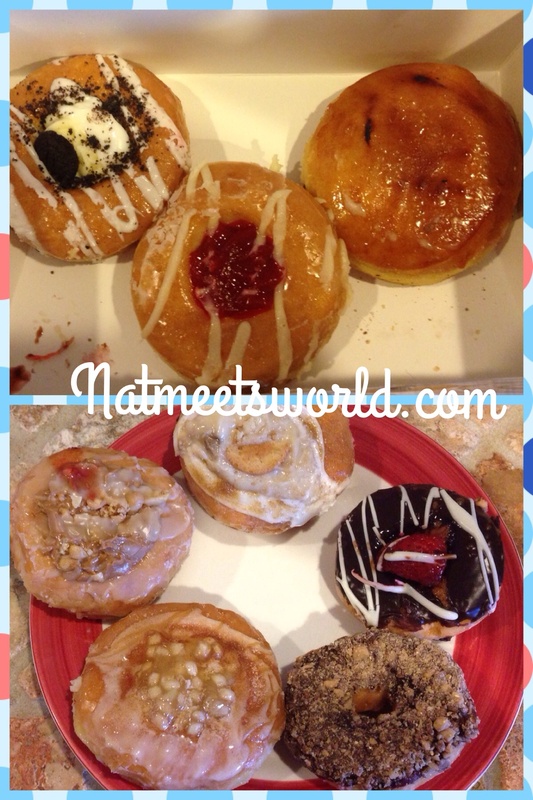 Take it from someone who pinches her pennies, these donuts are totally worth the splurge in price (and calories)!!!!! Mojo Donuts offers some of the most unique and twisted flavors of donuts, most of which I have never heard of before. 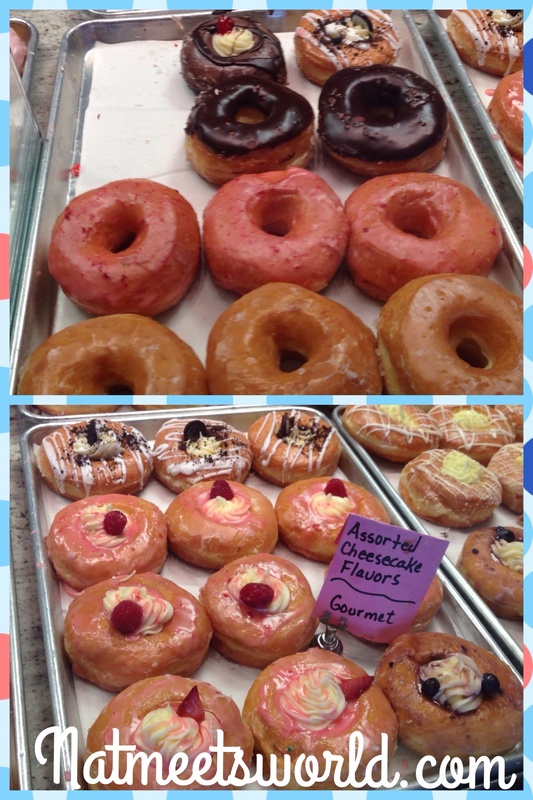 There are so many flavors, it is impossible to name them all, but some of the donuts on their menu include assorted cheesecake (including oreo), tahitian vanilla, guava and cheese, apple ‘biggie’ fritters, s’more, crunchy creme brûlée (one of their best sellers), peanut butter and jelly, Reese’s cup, Fruity Pebble topped, ganache filled, assorted berry, and more. 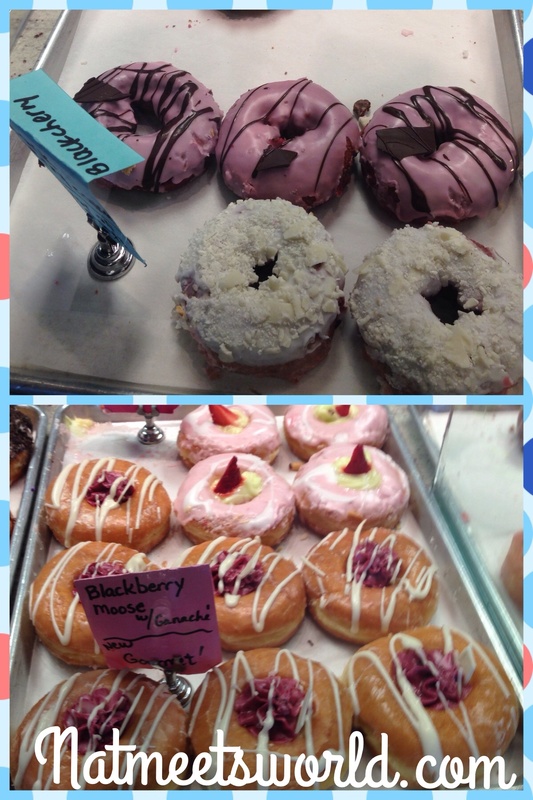 Check out some of the pictures below of the donuts that are waiting to be devoured! And now, for the main event……introducing the Log Cabin Bacon Bar! There are two kinds of these salty sweet donuts, one which includes a maple frosting covered in freshly cooked bacon bits and one frosted with Nutella and sprinkled with crunchy bacon. At first, I thought this wouldn’t taste so great, but bacon on anything tastes great, so I thought, why not?! 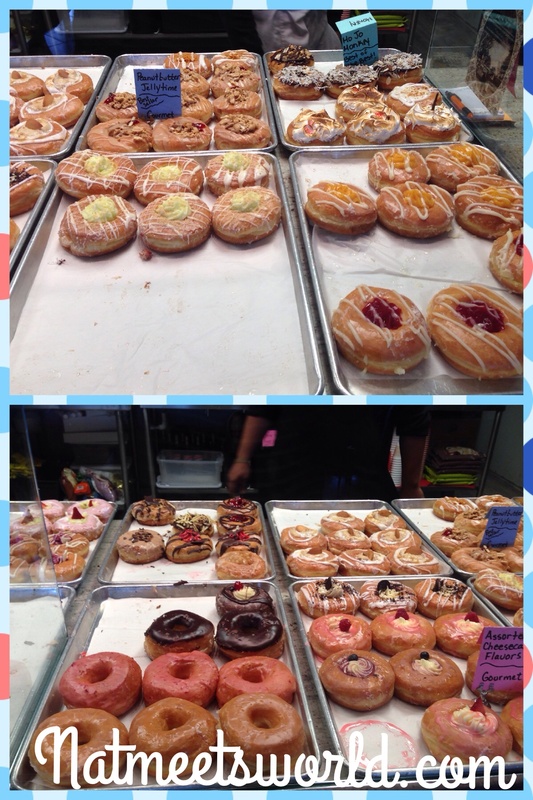 These donuts were to die for! They are so popular, that when I ordered it I had to wait a little extra because they were all sold out and the cook was baking more of them. Trust me, you can’t let this one slip. Make sure you try them! I also have to give a shout out to the guys working here. 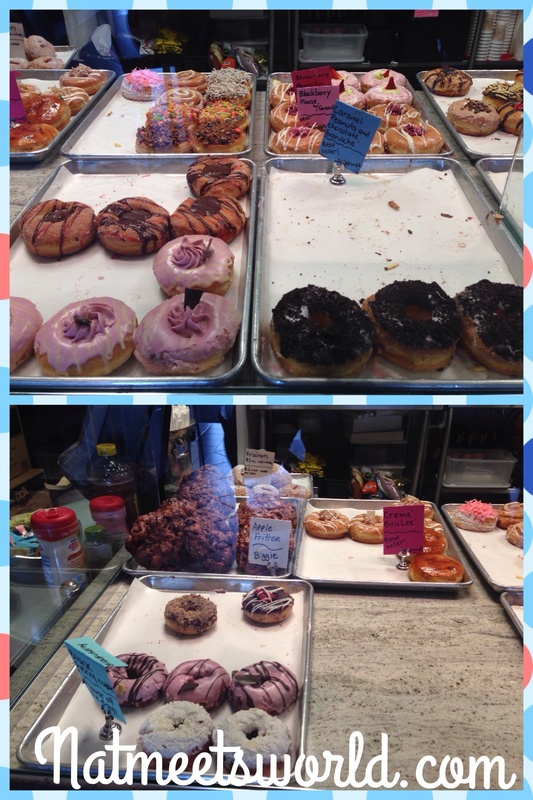 They were so sweet and patient with my questions regarding every donut. Thank you for making it a great experience! 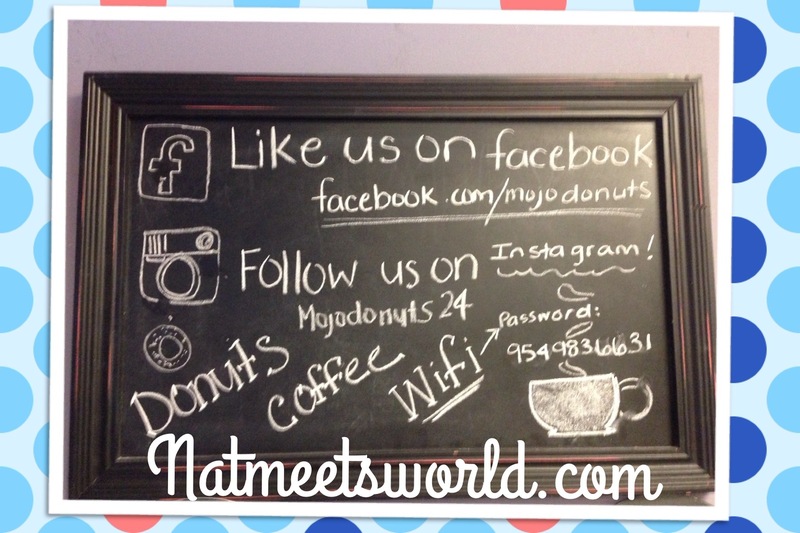 You can also follow Mojo Donuts on social media! 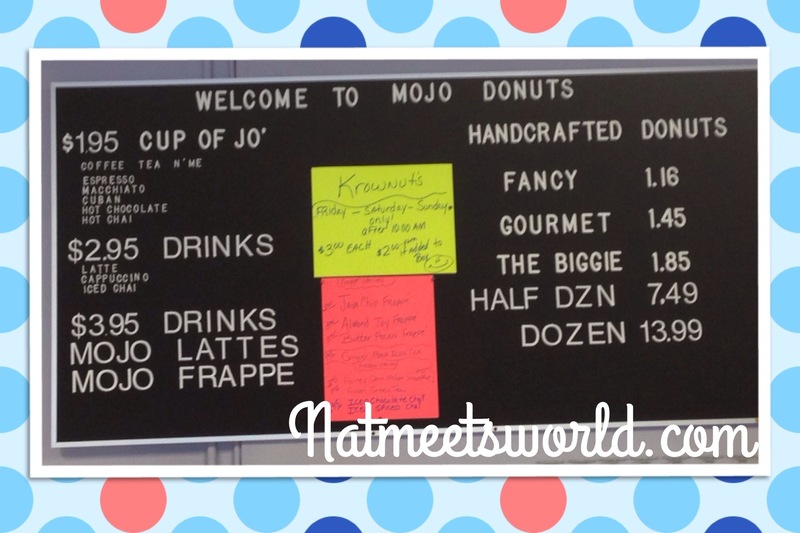 Next time you are in the South Florida Area, be sure to check out Mojo Donuts on the south east corner of Pines Boulevard and University Drive. Call Mojo at 954-983-6631 for more information.